We have been woken up by many different animals during our travels, the most memorable being by either the roar of lions or the snorting of hippo in Kruger National Park. Being woken up by the braying of a donkey was a first for us! 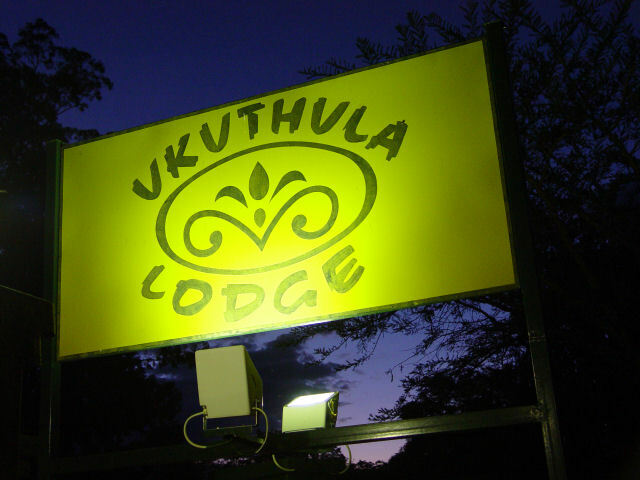 We had booked for a timeshare midweek at Ukuthula Lodge, situated between Bela Bela (Warmbaths) and Thabazimbi in Limpopo province. The trip there was uneventful except for a brief stop at the Menlyn Shopping Centre in Pretoria to buy bathing costumes as you-know-who had forgotten to pack ours! 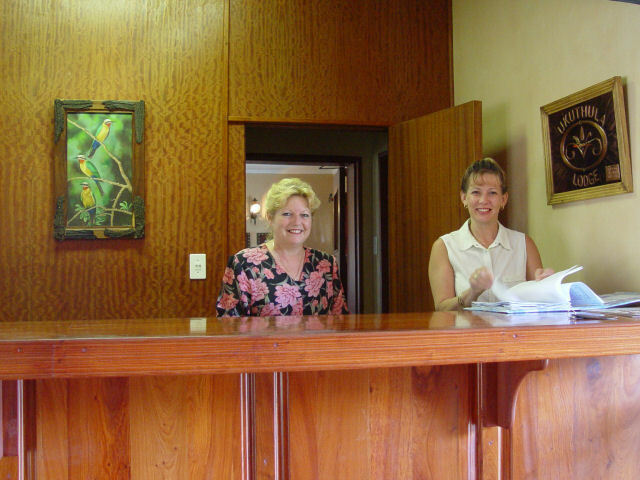 We arrived just after midday and were greeted by friendly and helpful resort managers Leon and Ronel and were shown our airconditioned (yay!) room. We have been to many timeshare resorts but this was the very first time that breakfast and dinner was included in the package. This was great as we didn’t have to prepare our own meals as is usually the case with timeshare holidays. We could also travel light as it was only necessary to bring our clothes along. Make no mistake, if you are an action junkie, Ukuthula and Rooiberg is NOT for you! A couple we met here mentioned that this was their fourth time to the resort. They used it to get away from family and grandkids and to recharge their batteries. And recharge is just what you do here. Everything is done at half pace, you start off with a hearty breakfast, go for a walk, relax by the pool, have lunch, relax some more, go for another walk, have supper, chat with new acquaintances, watch TV and go to bed! 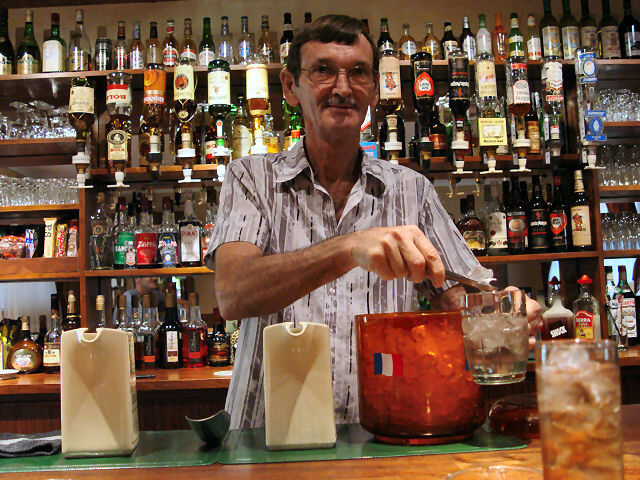 One of our fellow holidaymakers mentioned that you can’t help but make friends here! We took a walk around town and were promptly invited by Martie and Gassie van Gass to have tea with them! Real country hospitality! That’s what makes Rooiberg so special! We actually felt like VIP’s as everyone that drove past us actually waved! So refreshing, in the city we would have probably been shown a rude sign! Needless to say, we were soon waving back enthusiastically! 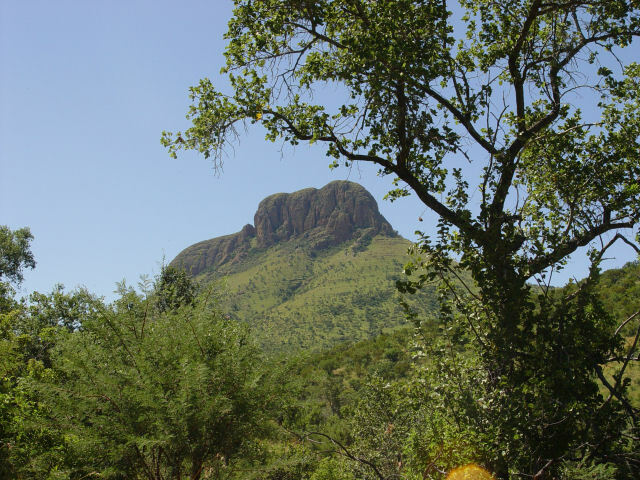 We also went on an outing to the nearby Marekele National Park where the mountain scenery was breathtaking. A narrow road takes you to the very top of the mountain with magnificent views. 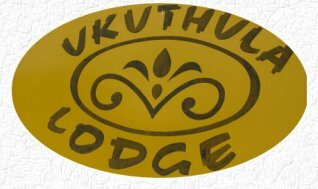 But back to Ukuthula Lodge. 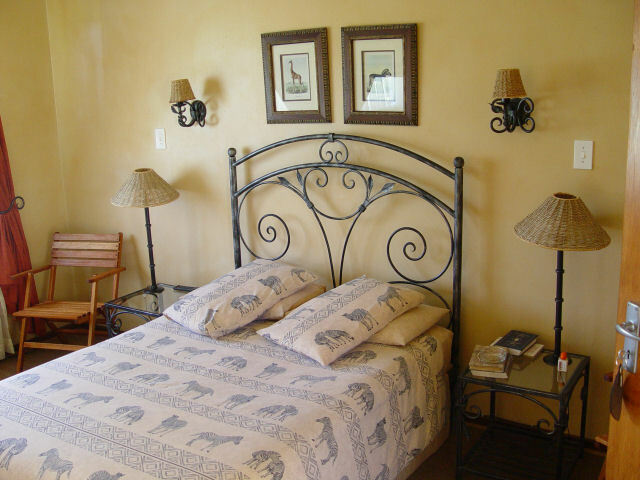 The lodge is spotlessly clean and beautifully decorated. 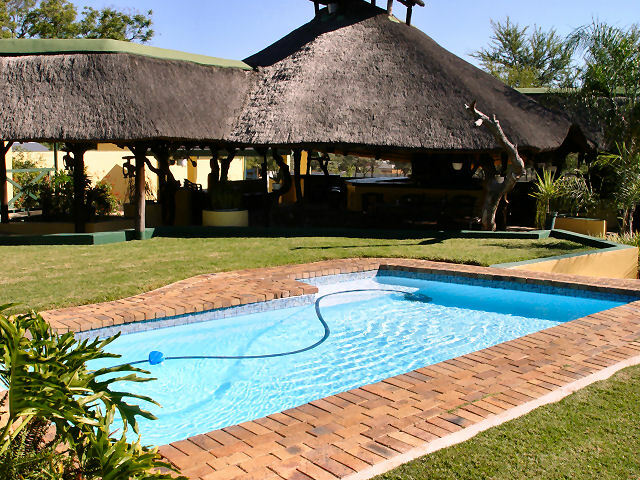 The grounds are neat and the pool crystal clear. The food is good, I love my boerekos! 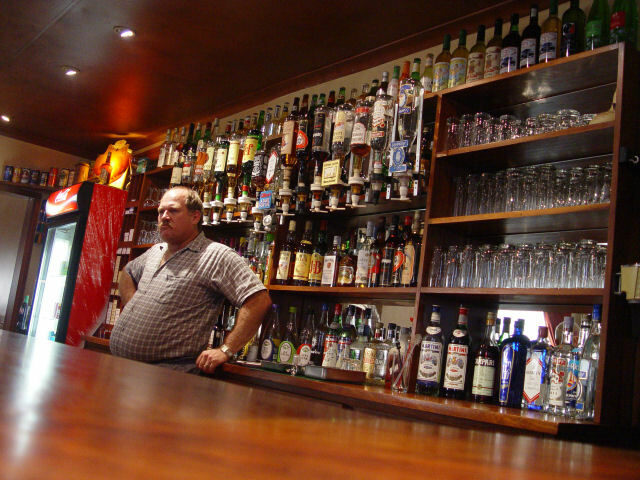 The managers are hands-on and the staff are friendly and competent. 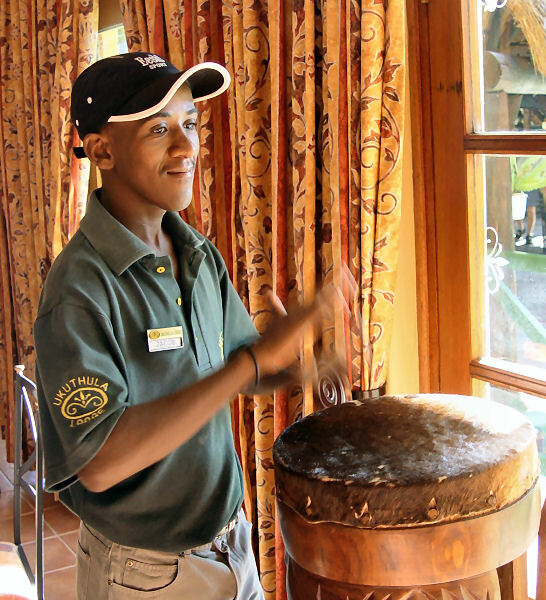 A BIG plus for me was that the waiters could speak Afrikaans! What more can you ask for! So, if you need to get away from the rat race, need to relax for a few days and be waited upon, this is the place for you!